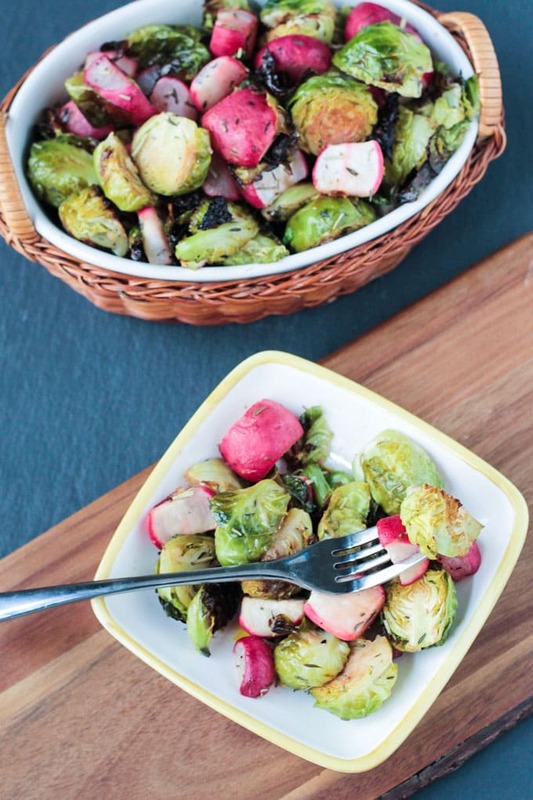 Roasted Radish and Brussels Sprouts Salad – An easy side dish for any day of the week, but especially beautiful and festive on a holiday table. 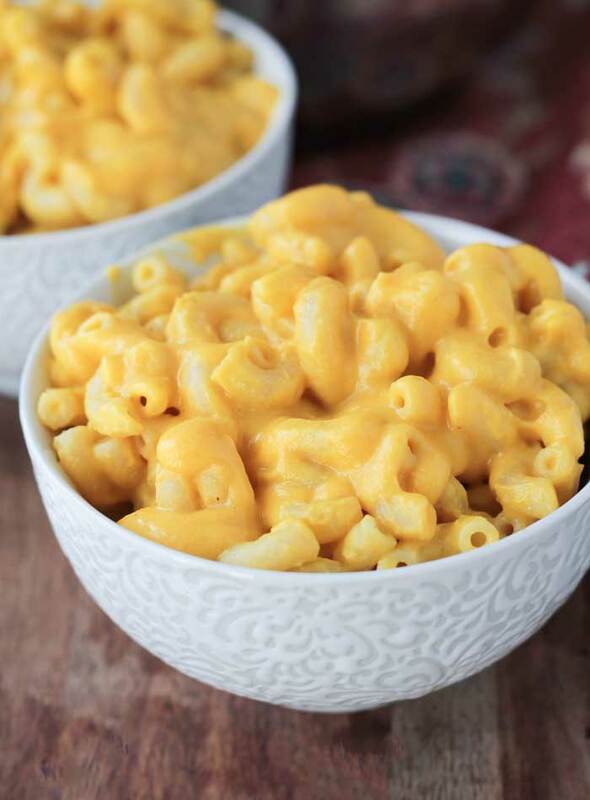 In need of a quick and easy side dish? 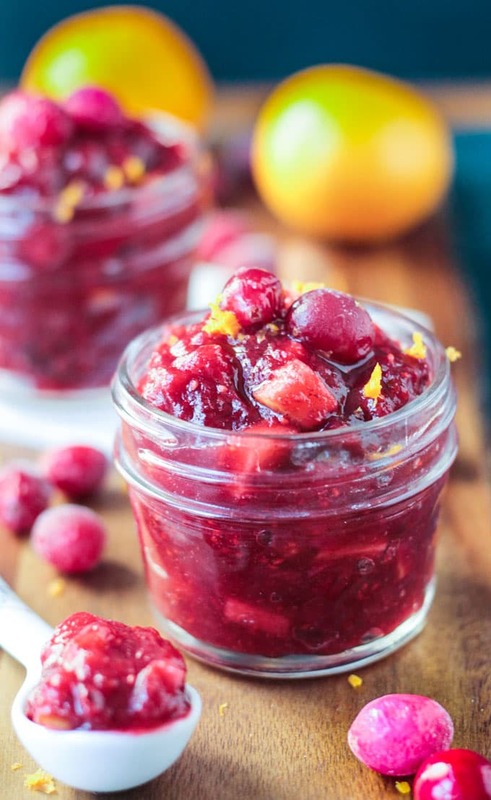 Want to brighten up your holiday spread? This Roasted Radish and Brussels Sprouts Salad is festive with the colors of red and green and is sure to bring some healthy cheer to you and yours. Roasting the vegetables gives them a lovely caramelization and really mellows out the radishes. 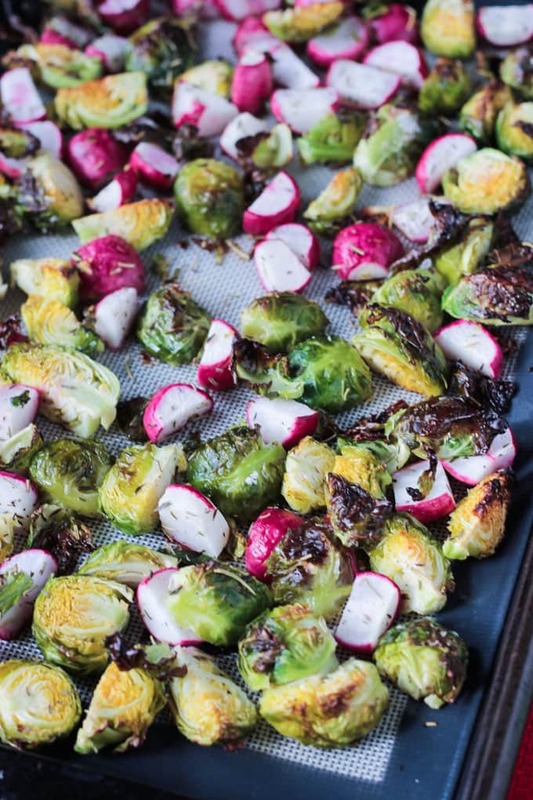 If you think you don’t like radishes or Brussels sprouts, you’ve gotta try this dish! See those crispy brown edges? That’s what you want! If you remember the boiled brussels sprouts from your childhood in a not so loving way, I don’t blame you. No mushy, water logged veggies here! Just crispy, firm and delicious. This is the only way I’ll eat cooked Brussels sprouts and they are so good! Again, you MUST try them roasted. 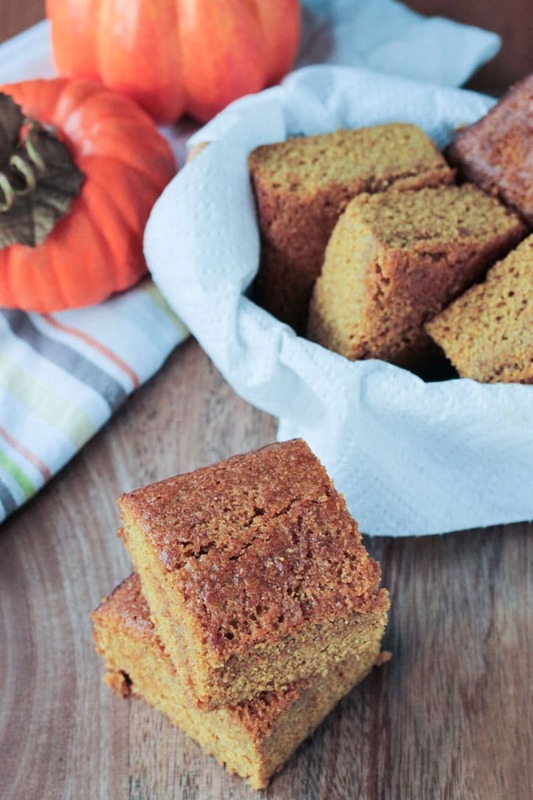 The crispy edges and caramelization are so good! Raw radishes can be very spicy. I love them that way too, but roasting radishes mellows them out and brings out their sweetness. If you think you don’t like radishes, you MUST try them this way. It’s like a completely different vegetable when it’s roasted. Even my kids like them! 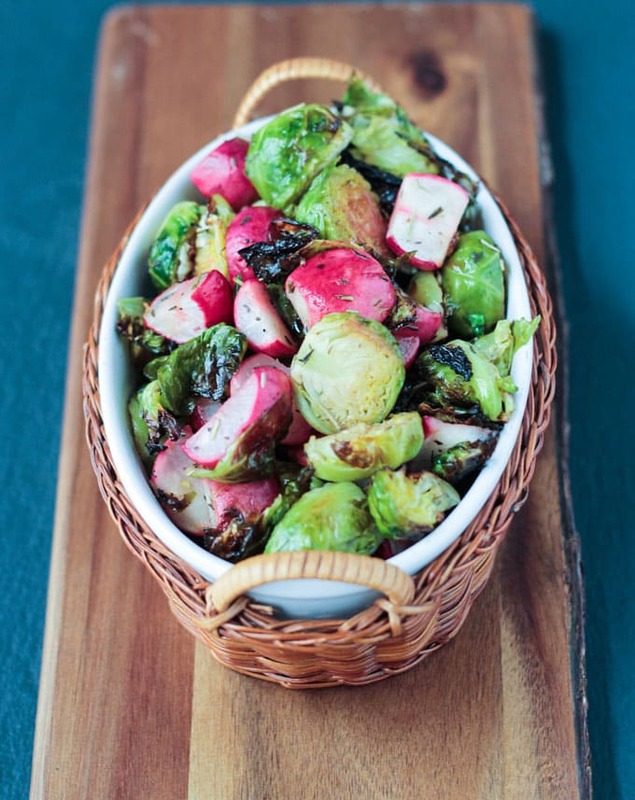 If you make this Roasted Radish & Brussels Sprouts Salad please come back and leave me a comment below with your feedback and star rating. You can also find me on social media. Snap a quick picture and be sure to tag @veggie_inspired and #veggieinspired to your remakes so I’m sure to see it! An easy side dish for any day of the week, but especially beautiful and festive on a holiday table. Place all ingredients in a large bowl and toss well to combine. Spread out in a single layer on a rimmed baking sheet lined with parchment paper. Bake for 20-30 minutes until the vegetables are starting to brown and crisp up on the edges. Radishes! I saw the pic in my inbox and was guessing without reading what was in there, but didn’t think of radishes! Very creative, they aren’t a veggie that I work with often but the color is gorgeous! You really nailed the crispy edges here, looking so good! Natalie, you DID see the pic in your e-mail? So strange, it’s not showing up in mine (yes, I get my own e-mail…lol!). I thought something was wrong, but I guess it’s just my crazy e-mail. 🙂 What did you think it was before you read that it was radishes?? Thanks, Nat! Oh no it was the email from FB with the pic. 🙁 I saw your post about the email issue, but I have no clue how to fix it, sorry. And I thought they were red potatoes, but the color wasn’t quite right that’s why i was so curious! You got an e-mail from FB?? I’m confused. You mean a notification? Anyway, potatoes would have been a good guess! Lol sorry, yes just a notification that you had posted in one of the recipe sharing groups. Perfect to complete the dinner table! 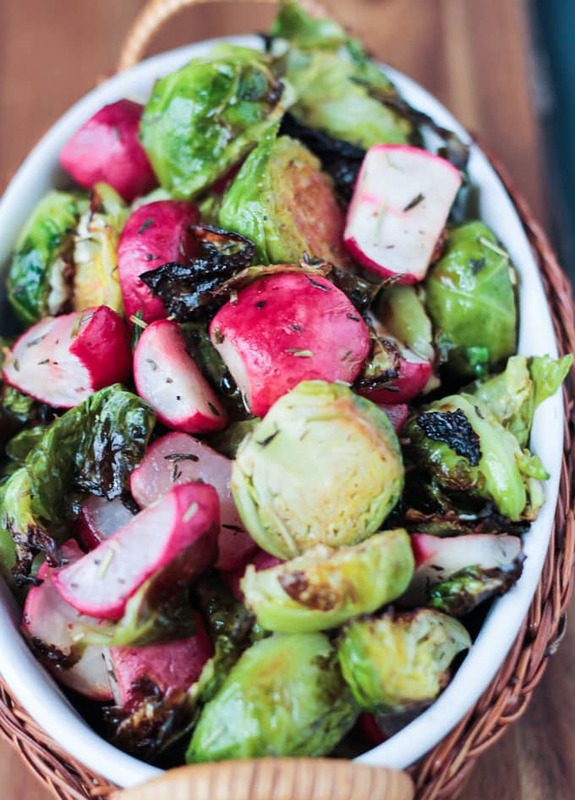 Brussels…just love no matter, but roasted radishes are fabulous!!! I only started eating radishes more this year, but roasted is just the best! They get creamy! Yes, creamy and sweet! Thanks, Rebecca! I’m glad someone else feels the same about Brussels sprouts…so so good!